ElderSpirit Community at Trailview is a cohousing community for mixed income elders (55 and over) located on 3.7 acres alongside the Virginia Creeper Trail in Abingdon, Virginia. Its distinctive intentions are mutual support through the aging process and late-life spirituality. Members believe that spiritual growth is the primary work of those in the later stages of life. Agreeing that freedom of religion is fundamental, we encourage one another in the search for meaning and commitment to the spiritual path of our choice. Through face-to-face relationships, we offer and receive support, express our needs and convictions, listen carefully to each other, and strive to act responsibly, considering our good, the good of the other, and the good of the community. Thirteen of the cluster homes belong to owners; sixteen apartment homes are for renters, who must qualify as mo low-to-moderate income. The Common House is used for meals, meetings, entertainment and gatherings of all kinds. There are laundry facilities in the Common House. The Spirit Center is a special place for prayer, meditation, and celebrations. Each member serves on at least one committee. Monthly meetings of the Members Association are run by consensus. Visitors who are interested in our community are welcomed. To learn more, visit our website www.elderspirit.org. To arrange a visit, please call Catherine Rumschlag at 276-619-5544 or write crumschlag [at] elderspirit [dot] org. Retreats and workshops are available for groups who have similar goals. For more information on retreats, contact Monica Appleby at 276-698-3289 or write mappleby [at] elderspirit [dot] net. Dene Peterson addresses groups and meets with individuals who want to build cohousing communities in other locations. She can be reached at denepeterson [at] elderspirit [dot] org or 276-698-3193. 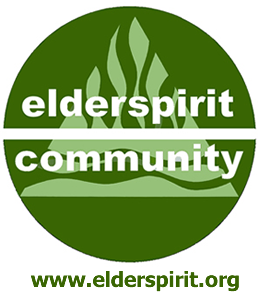 For more information on starting elder intentional communities check the website www.elderspirit.net.